Winter in Iowa. 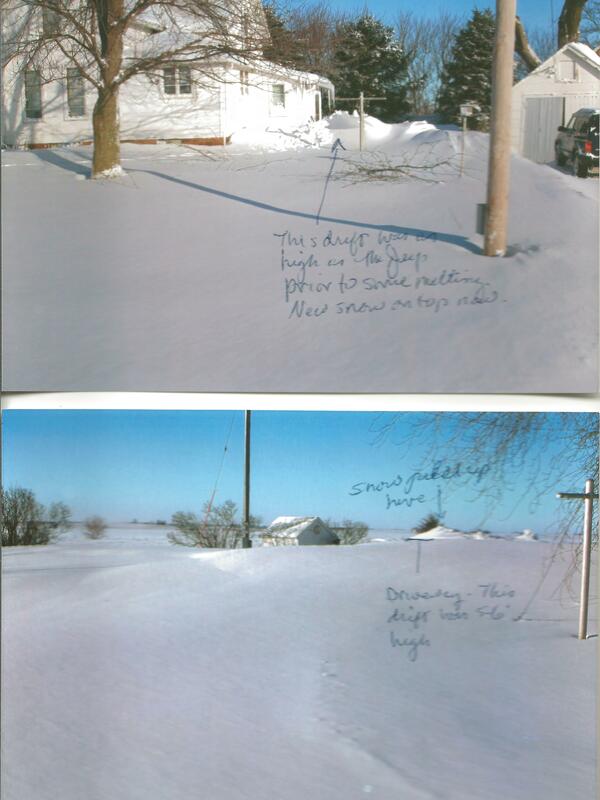 Five foot snow drifts. Two feet icicles. My mother skyped me yesterday to tell me it was -2 Fahrenheit (-19C) in Iowa. All children should be lucky enough to live in a place like Iowa for at least a year. Teaching the seasons would be much, more simple. The traditional descriptions of the seasons with the sprouting spring leaves; hot, summer sun; colored, fall leaves; and blankets of snow actually happen in Iowa. 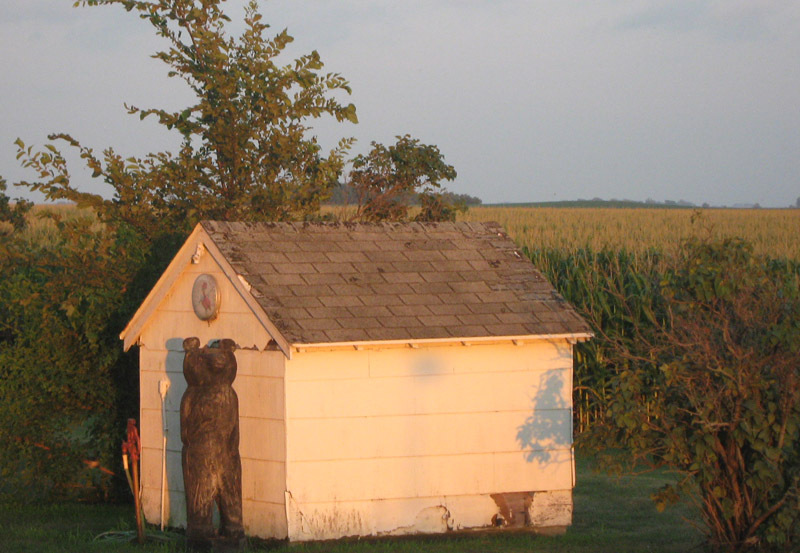 Along with the seasons, learning that corn comes from a cob, not a plastic bag, and hens lay eggs in nests, not white Styrofoam cartons, can be witnessed across a countryside where acres of seeds are planted in the spring; their bounty harvested in the fall. 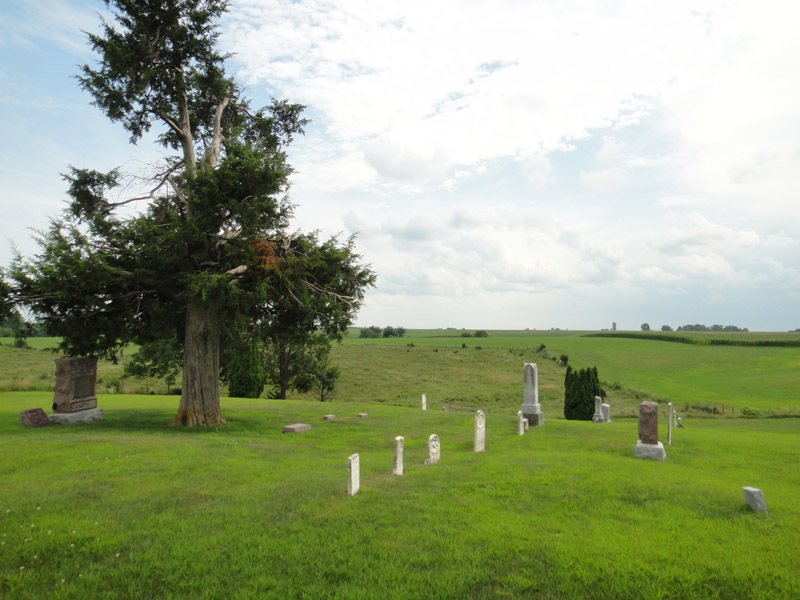 American history comes to life in Iowa. The native Oneota people which includes the proto-historic Ioways, lived in the Mississippi and Missouri River valleys, an area that today are the states of Iowa, Wisconsin, Minnesota, Missouri, Kansas, and Nebraska. Their burial mounds and settlements along the Des Moines River speak to the continent’s history before the French, Spanish and English arrived. The forts built to protect the soldiers who fought with the Native peoples for control of the land can be visited. Family farms originally belonging to the white settlers, who arrived in the 1800s, still exist. The cemetery tombstones bear witness to their lives. It is a place where the old practices and new innovations come together under clear, blue skies. In Broken Kettle, there is a four thousand acre preserve of native prairie land where bison roam. The goal is to promote biodiversity, not provide recreational land. People come from around the world travel to educate themselves at the highest standards in Iowa’s schools and universities. Out where the tall corn grows…. Iowa is a place where the pace is naturally set by the seasons. This gives people time to be human: baking a cake to share with your neighbor over coffee; carving a bear totem from an old log; singing in a church choir; building a birdhouse; “visiting” on Sundays; or meditating while mowing acres of grass. From those moments of silence come inspiration and innovation. 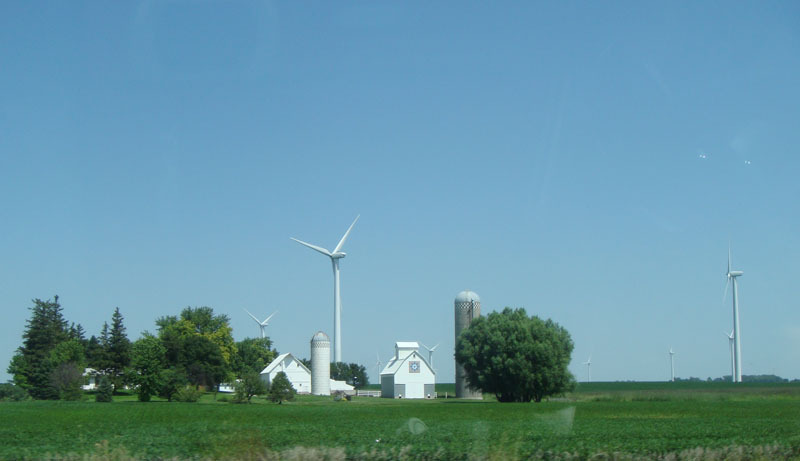 You might be surprised how many enlightened people and new ideas originate in Iowa then spread through the world. 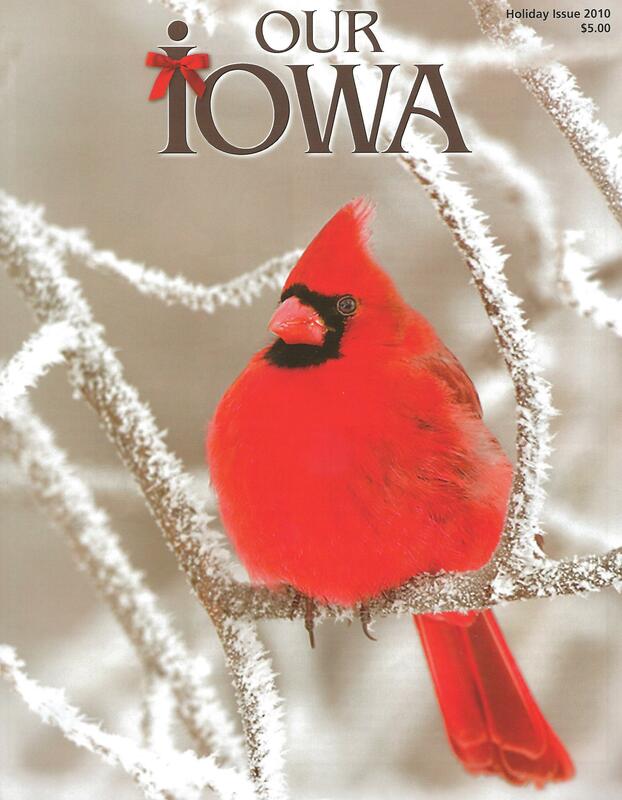 One of my favorite magazines is Our Iowa..written by Iowans…for all those who love Iowa. 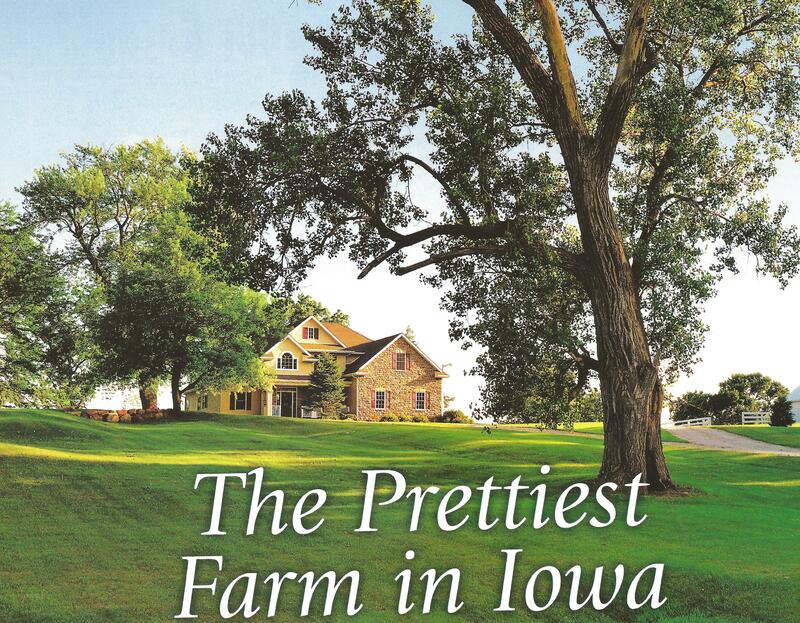 Every summer I leaf through the past issues’ stunning photos and regular columns about the prettiest farm, funny stories about what children say, recipes (toffee-almond sandies) we are proud to share, an Amish farm wife’s diary, and culture (sort of). And just like in Iowa where the old blends with the new, Our Iowa can be order online, but it is sent to your mailbox, the one by the side of the road. Hmmm, perhaps that’s why I live in the desert. According to my sources, the saying is because traditionally men are supposed to limit their choice of brides from among their cousins. Maybe it’s a stretch.